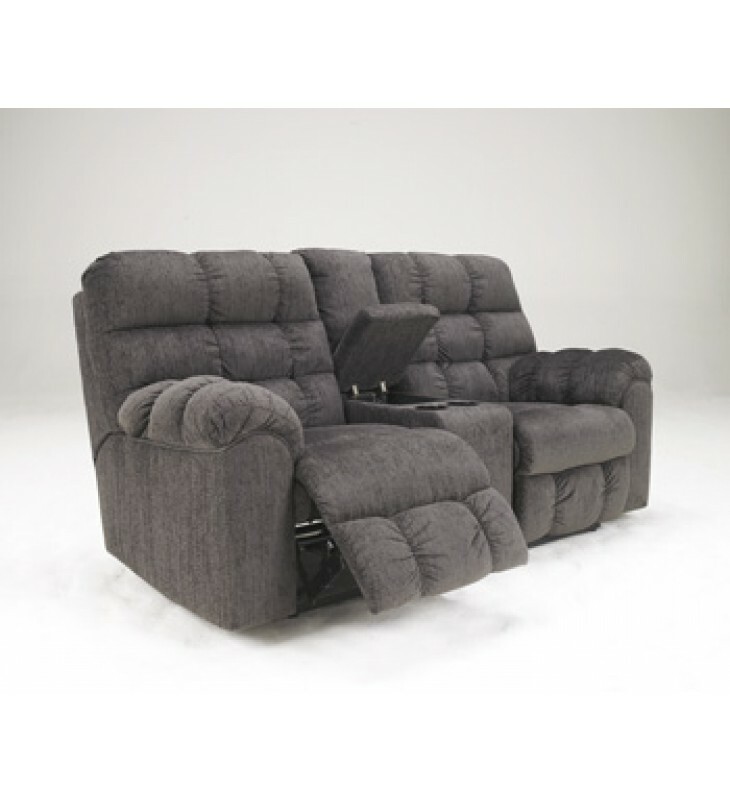 Sofa features a drop down table with magazine storage and cupholders. Loveseat features console with storage and cupholders. Dimension(Inch) : L x D x H: 79" x 39" x 42"